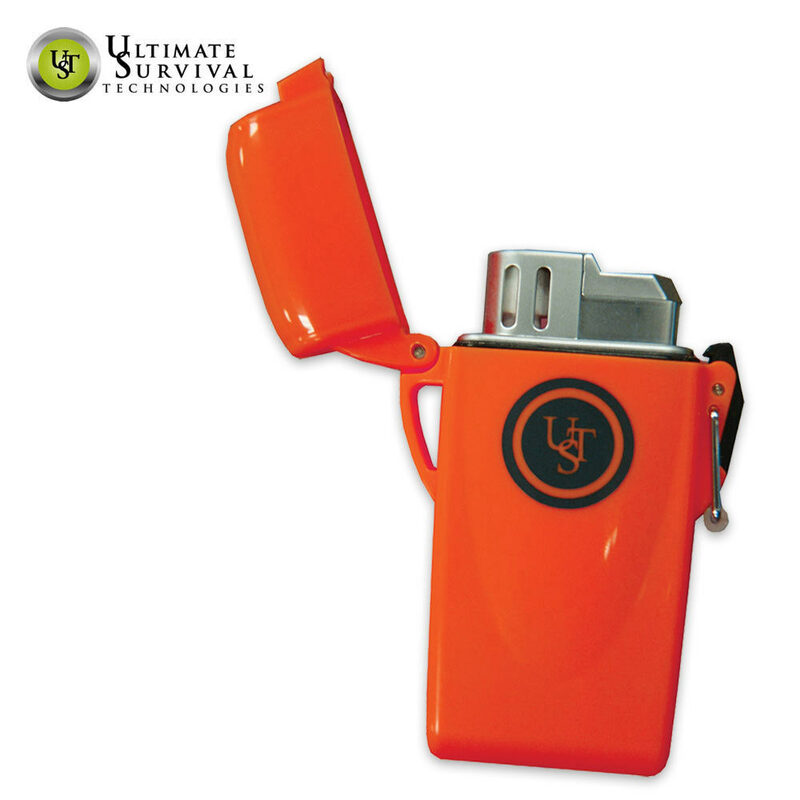 UST Floating Windproof Lighter Black | BUDK.com - Knives & Swords At The Lowest Prices! 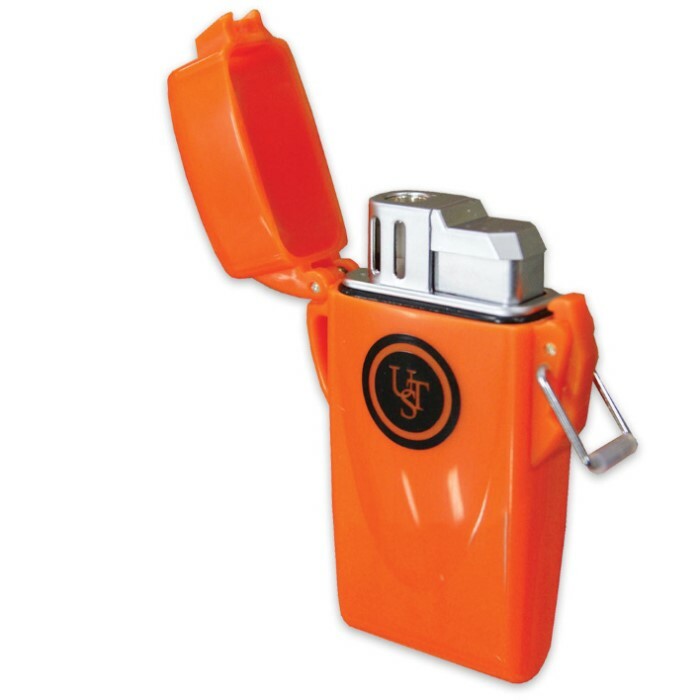 UST got it right with this quality, affordable lighter, offering windproof/waterproof performance for years to come. The Piezo-electric ignition performs in even the most adverse situations and inclement weather. It features an O-ring sealed cover with a locking clasp, and a .04 oz. butane capacity. Best of all, if you drop it in the water, it floats!